ItemE-02061 - Children at Gordon Head. ItemE-02062 - Group of children at Gordon Head; Victoria. ItemE-02079 - Salvage operations on an unidentified shipwreck. ItemE-02086 - "Genoa Bay, BC." 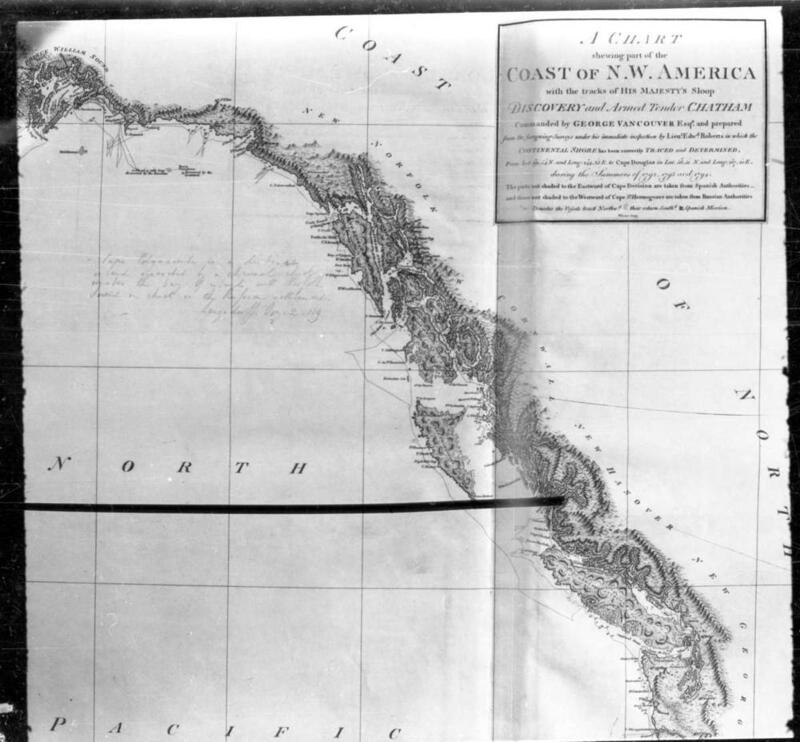 ItemE-02089 - "A Chart Showing Part of the Coast of N.W. America." ItemE-03766 - Tom McPherson in his room at a logging camp. Item E-02089 - "A Chart Showing Part of the Coast of N.W. America." "A Chart Showing Part of the Coast of N.W. America."